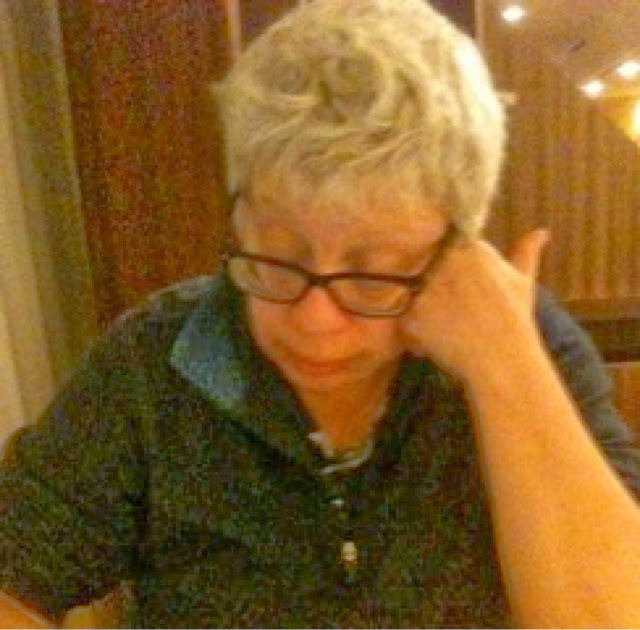 All The Write Stuff: Meet Deborah Emin, owner of Sullivan Street Press! Meet Deborah Emin, owner of Sullivan Street Press! It is delightful that you will be joining us for the "Write Stuff" conference this year. May I say what a fascinating way to differentiate from other publishers by going green and focusing on saving the planet! I recently had a conversation with colleague about your company and it's intentions of going green. It made her pause before she admitted she must have a forest in her house and she wasn't sure how she felt about that. Definitely something to think about. Could you tell us what originally inspired you to create Sullivan Street Press? Deborah Emin: Thank you for giving me the opportunity to sound off about my company. This has been and continues to be a long road of many wonderful discoveries and some serious set backs which your questions help me to go over. I began my company as a way to protect my intellectual property. All environmental focuses and "fights" are about the lessons learned along the way. Having been in publishing since 1978, I have seen all the internal publishing perspectives on what it means to be green. Unfortunately, the industry promotes and sells all we know about this important and necessary shift and does nothing to live by it. It's as if the industry lived on a desert island with all the information needed to survive but was illiterate and couldn't read the material. It's intriguing the options you offer readers...ebooks through Sullivan Street Press, Print-on-Demand copies from the Espresso Book Machine at McNally Jackson Books AND this iPad app for your Scags series. First could you tell us about this app and the "Living Book" approach? What was the inspiration? What do you like best about it? Could you tell us a little about your collaboration with the Espresso Book Machine? Deborah Emin: As to the move to work both with MAZ Digital and the Espresso book Machine. The wonders of new technology are staring us in the face. With enough resources and support, they can offer publishers and writers the kinds of opportunities to do new things that the industry has also been slow to embrace or make the best use of. On Demand Books, the parent company of the Espresso Book Machine, begun by Jason Epstein a long-time publishing executive, faced real uphill battles. The first battle was the cost of their machine and the rising costs of paper. This has kept their beautifully produced books and the underlying technology which seems to have failed them from being a success. So, I'm moving on from them to work with Ingrams whose larger systems and delivery mechanisms will serve me better. MAZ Digital is another exquisitely built model that also isn't completely attuned to books. They offer writers an opportunity to do wonderfully imaginative things to enhance their books but the company is built on magazines and advertisers. With them I began to imagine what a Living Book could be. For that I am extremely grateful. I think my concept is sound but it requires a kind of author-centric focus with the book itself generating enough revenue to support what I had envisioned. An experiment that has not failed so much as been a stream of lessons about what is possible given more extensive sales and thus a reason to pursue this type of involvement by an author. I tried to have the people at MAZ work with me to teach writers and publishers some best practices with their outstanding technological breakthroughs. These talks went nowhere. They needed to find backers, ramp up their tech side. Their talks with the executives of the Big 6 led nowhere because those people don't live the daily lives of authors for whom this technology would be interesting. So again, great vision, great ideas that haven't yet found their best practitioners. Had they contacted someone like Margaret Atwood, who loves this geeky side of life, they might have forged a much better working relationship. But they don't know anything about the book world. They also didn't want to learn. Seeing the possibilities doesn't mean people understand what they are seeing. According to your bio, you are not looking for genre fiction but are looking for story which "is originally told and challenges conventional, contemporary fiction's strictures." Could you expand on this? What are you looking for? Deborah Emin: As to my desires as a publisher, what I look for, I discovered from my earliest days of reading the "slush pile" that that sort of trial and error publishing is pointless. The waste of time and effort that goes into that form of relationship building is useless. I read almost anything. My tastes are varied. My interests expansive. But I will not spend time with writers who pay no attention to their craft, who are uninterested in challenging the reader or making the reader uncomfortable. So, I seek out what I'm interested in rather than hoping someone can sell me an idea. Or says they know how to write something but it's just a trite re-iteration of what others have done. I am a writer too. I know what it means to struggle with language and structures to build a story. I don't want to fall into easy traps or waste my limited time with people who think selling books is a get-rich scheme. Do you help your authors with marketing? Or is this something you allow each author to handle him or herself? Deborah Emin: Marketing is a joint venture between me and the author. They sign an agreement to be involved in it. I also work with Vocus, an online marketing and public relations firm. They write our press releases, work on our newsletters, write marketing plans for our authors and the authors and I collaborate. I like the idea of offering more out-of-print books. How many are currently made available through Sullivan Street Press? And what gave you the idea to offer this? Deborah Emin: The OP business side has died. Too long a story to tell here but the lessons learned were fascinating and gave me even more insights into how the state of publishing currently came to be in such dire straits. I think it's wonderful that you have a page on your website that offers links to more information about ebooks, e-readers and devices and how to use them. In your opinion, how much has the ebook market grown? Deborah Emin: I have been at war with Amazon from the start. They are a predatory corporation. But we had to sell our e-books solely from our site in order to maintain our relationship to our readers. The times for us are changing. Readers of e-books, while seemingly growing, aren't adept at using their devices and uninterested in learning their capabilities. I spend too much time providing customer service and that has meant I needed to find a way to shift our focus from selling e-books to educating about e-books. Just this week we launched a new part of our site, the E-Book Blog. This is exciting and forward thinking. It allows us to open up talks about the how and why of e-books without spending time trying to sell them from our site as well. Soon, and you heard it here first, all e-commerce will be gone from our site and we'll focus our marketing in many different ways. What do you envision in the future for Sullivan Street Press? Deborah Emin: As to the future of SSP, it is a similar question seeking answers your conference attendees need to also ask: Why am I doing this very difficult work that must keep me at the forefront of what is possible? If I am not interested in the huge changes occurring in the publishing world, have I chosen wisely to spend my time pursuing a published author track? How much of a commitment am I willing to make once I have mastered the craft to really enter into a community that will value my work because I am willing to speak for it with them in ways that explore our common interests? And last question, what pieces of advise would you share with our conferees? Deborah Emin: This may seem like a huge assignment with no guarantees of financial success. But the fact is, success may not always be measured in dollars and cents. Sometimes there are many, many other and more meaningful ways to know you are hitting your marks, are in tune with your own self. That satisfaction is unbelievably exciting and rare in this world of commerce. I hope these answers help those coming to the conference. They have certainly given me a pleasure to share. Deborah Emin is the sole owner and employee of Sullivan Street Press. able to do that work. not seek genre fiction of any kind.